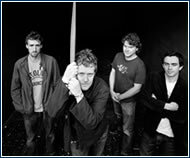 Glen Hansard’s stalwart band, The Frames, is making another trip from Ireland to Prague. Founded in 1990, the group went through both personnel and label changes in its early years. Nevertheless, it attracted a growing circle of listeners with its deeply emotive songs and energetic concerts. The band’s powerful presence is confirmed by two successful live albums – the first from 2002, called Breadcrumb Trial – and the latest from 2004, Set List. For this year the band has prepared its sixth album, to be released in early February, named Burn the Maps. The three leading Prague experimental theaters have prepared the 3rd annual Malá inventura (Small Inventory) – a festival of the most interesting independent experimental theater projects created last season. This year Divadlo Archa has joined the organizers and is presenting plays coming out of the Archa.lab project. Like Divadlo Alfred ve dvoře and NoD Roxy, Archa.lab presents independent projects beyond the scope of the classical genre. The festival runs for five evenings, with presentations of Osoby a obsazení, Nickname, Mama Luna, Domovní Requiem, Mistr Brufein, Climax – Epigenesi or Caht. 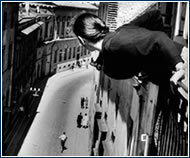 The acclaimed Lithuanian photographer Antanas Sutkus is well known for his cycles and reportage in the spirit of humanistic documentary photography. The theme of his works is people of various religious, cultural, and social origins, their life stories, the environments in which they live, and the legacies they leave behind. The People from Lithuania cycle is an ongoing project the artist began in 1976. The retrospective exhibition will present a collection of 47 black-and-white photographs from 1959 to the present. “Šípková Růženka” (Sleeping Beauty) is one of the cornerstones of the global ballet repertoire, and is considered the most perfect ballet opus of Peter Ilyich Tchaikovsky. The ballet adaptation of the fairy tale by the French writer Charles Perrault about love that conquers an evil curse will be presented by the National Theater Ballet and the Prague Dance Conservatory. In this tale of a girl pricked by a thorn and sleeping for a century, choreographer Jaroslav Slavický has kept the most beautiful dance compositions by world-renowned French choreographer Marius Petipa, who wrote the original libretto.